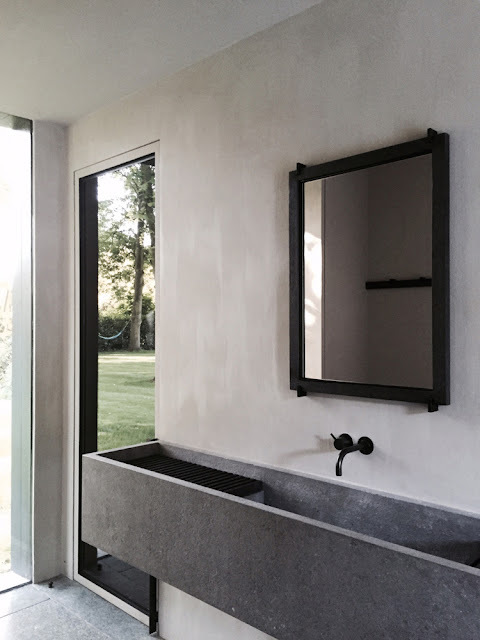 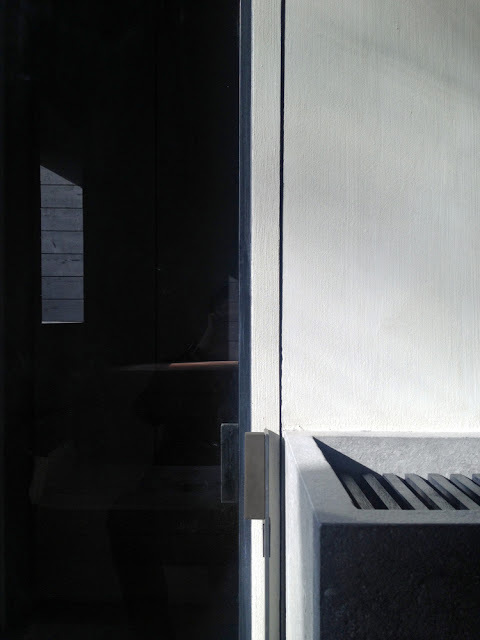 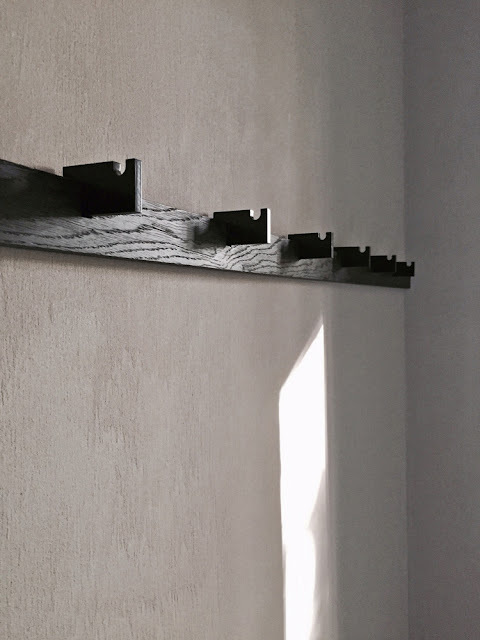 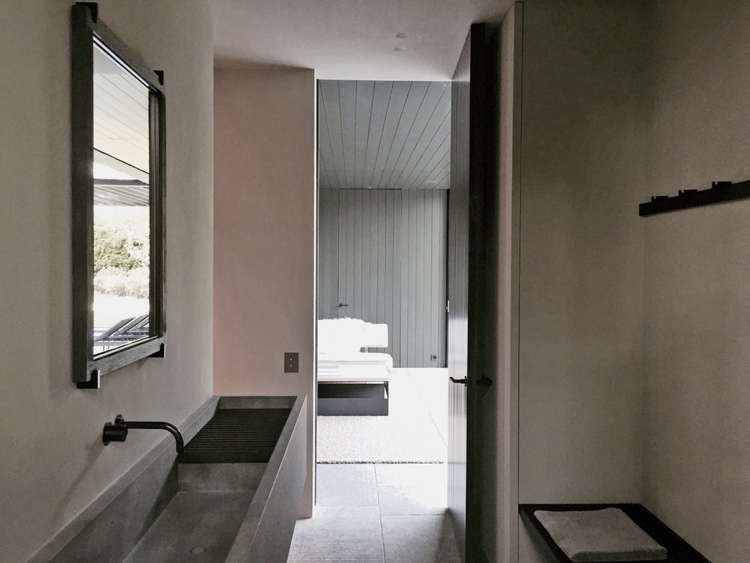 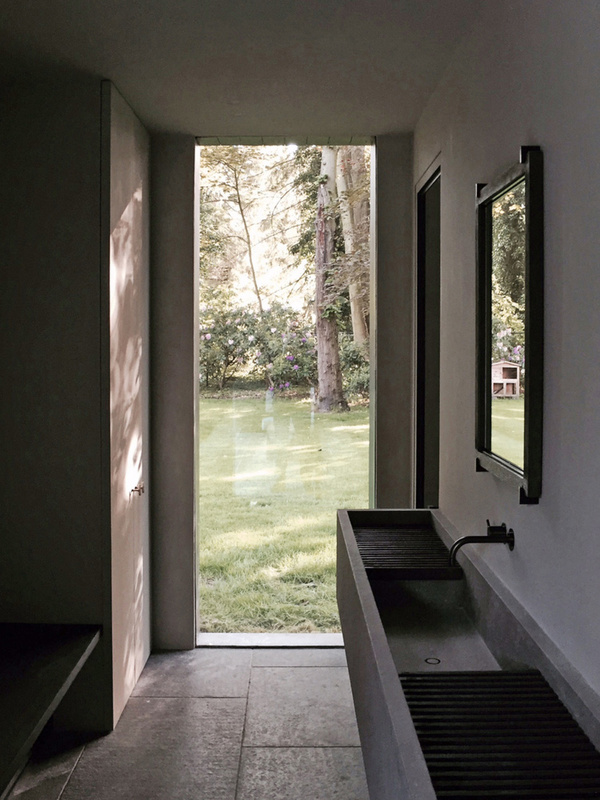 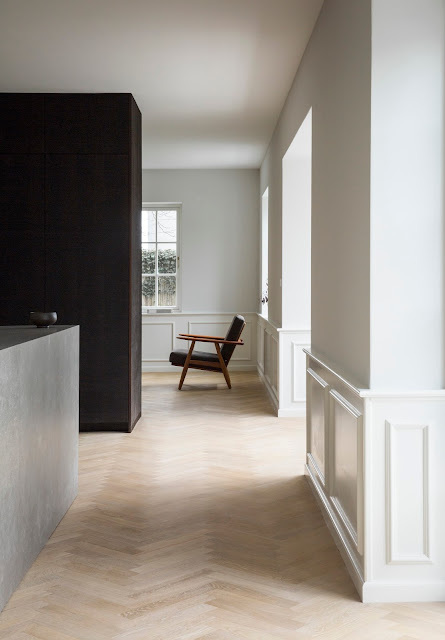 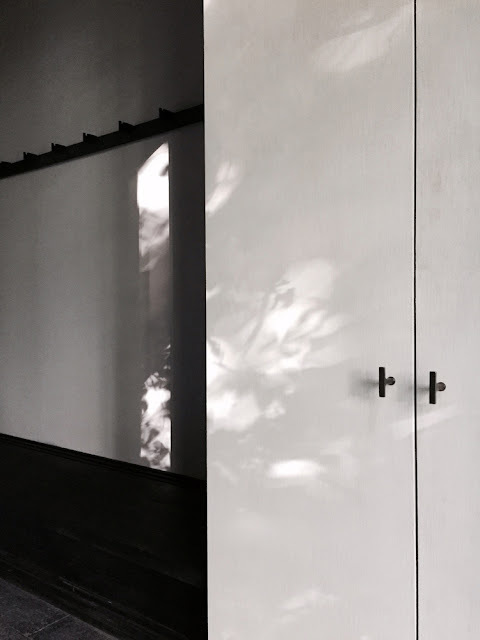 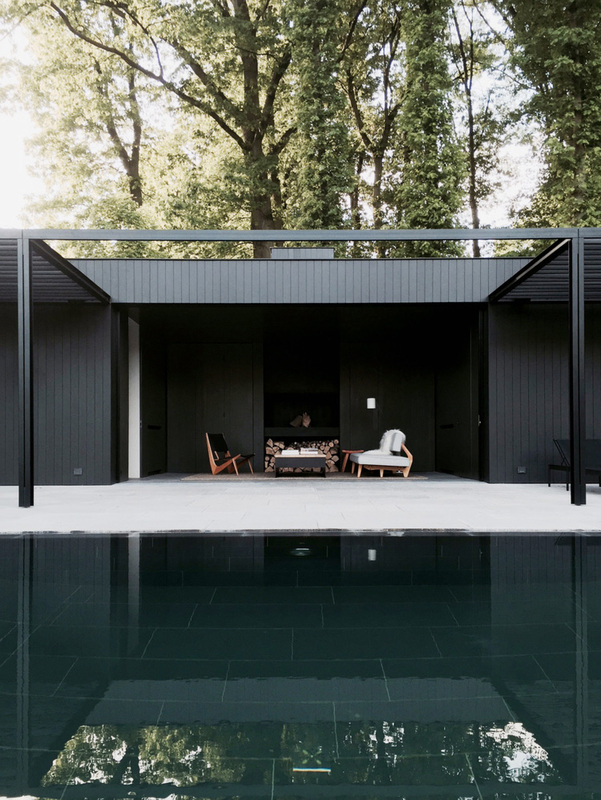 Designed by Belgian designer Marc Merckx this minimalist contemporary pool house is characteristic of his pared down interiors, evidence of his constant search for the perfect balance between proportion, materials and space. 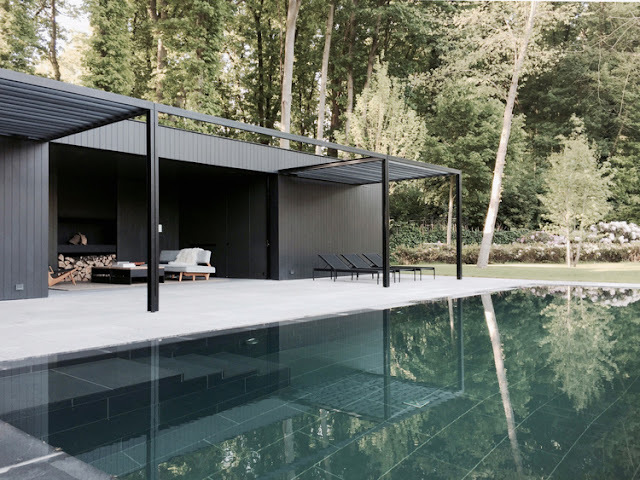 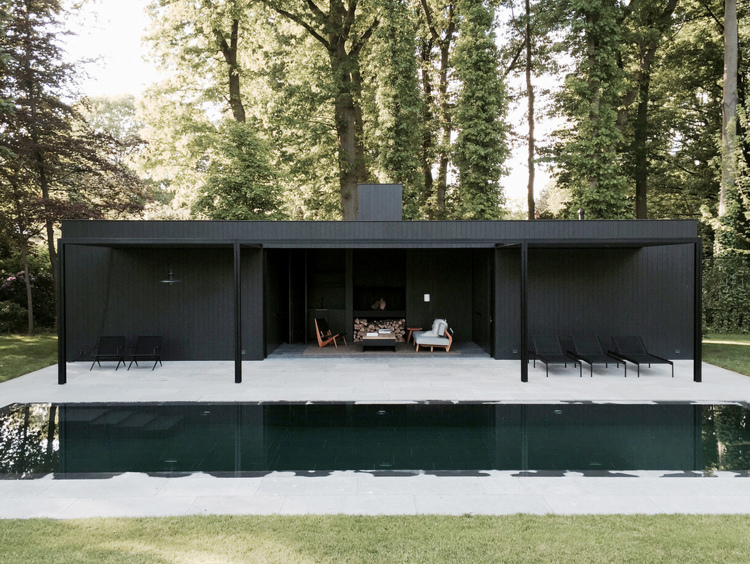 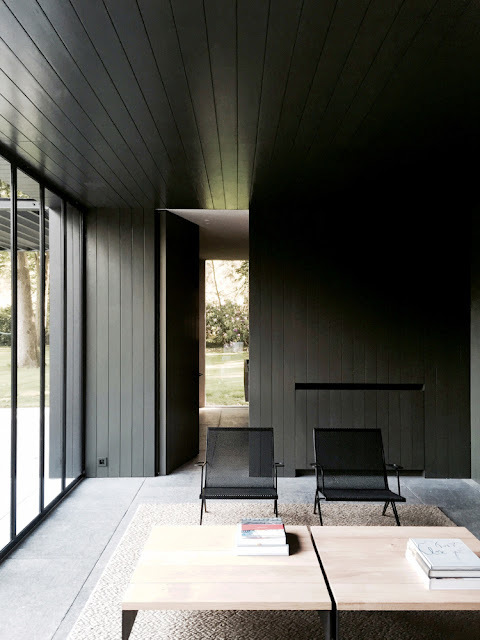 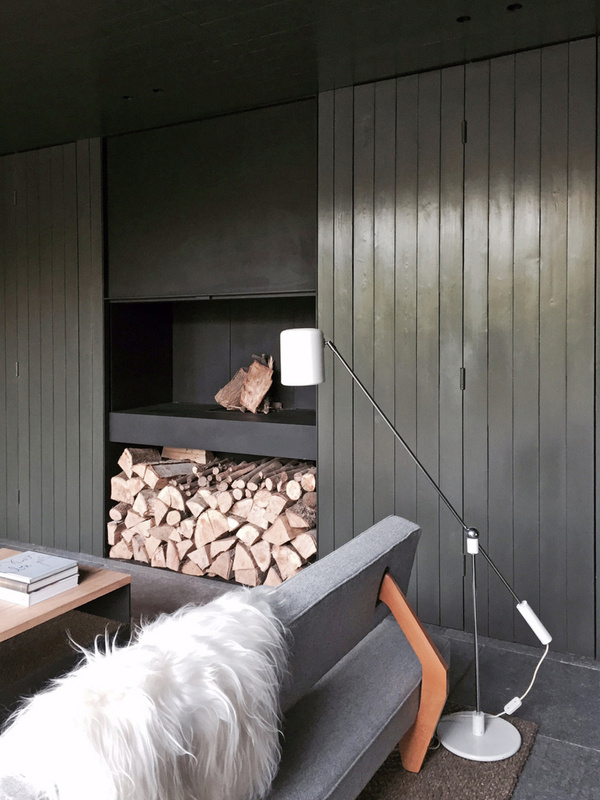 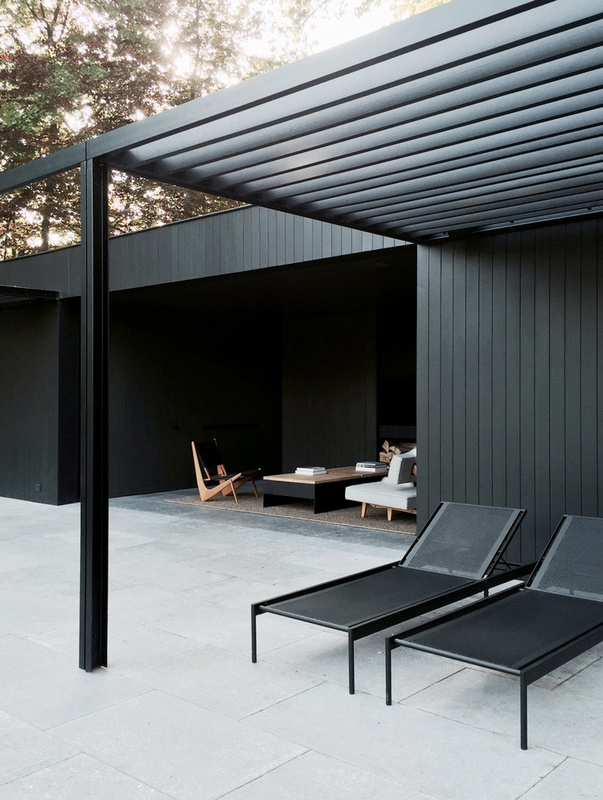 One of Merckx’s latest projects, CD Pool House features a black timber facade that responds to its natural surrounds, next to the blue shades of the adjacent swimming pool. 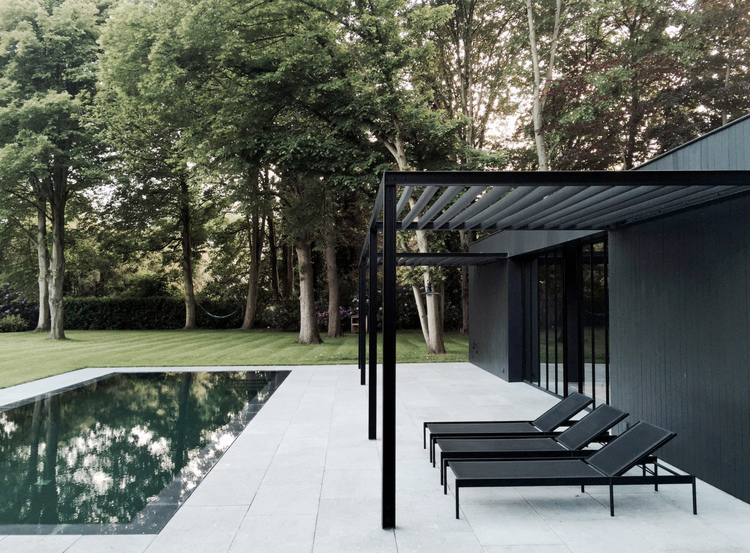 The structure’s symmetry is mirrored by the reflection of the water, creating a beautiful sense of repetition.